Energy Live News, the award winning news service, is the leader in energy news and information. We started with a simple vision to cover energy across the board, fossil fuels or renewables, nuclear or cleantech we will bring the news to you wherever it is happening. We are independent, fair and engaging and listen to all voices across the sector. We are leaders in online energy TV and we bring you interviews and interesting filmed stories from across the UK and abroad. For further details email subscriptions@newpower.info . BEAMA is the independent expert knowledge base and forum for the electrotechnical industry for the UK and across Europe. Representing over 300 manufacturing companies in the electrotechnical sector, the organisation has significant influence over UK and international political, standardisation and commercial policy. BCSD-UK is the only affiliated branch in the UK of the World Business Council for Sustainable Development (WBCSD). Their focus is on the practical implementation of sustainable development values and the promotion of sustainable development as a key to world class business standards and new business opportunities. CPI develops products, processes, services and businesses in the process and manufacturing sectors, and brings jobs and prosperity to the North East of England. Across its specialist technology areas, CPI delivers a unique portfolio of activities: providing services to the global business community in process innovation, consultancy and research, and in the formation and management of development partnerships; establishing and running publicly funded agencies and projects in emerging technologies and forming new companies through spin-outs and joint ventures. The Chartered Institute of Architectural Technologists(CIAT) represents over 8,000 professionals working and studying in the field of Architectural Technology. CIAT is internationally recognised as the qualifying body for Chartered Architectural Technologists (MCIAT) and Architectural Technicians (TCIAT). As the lead qualifying body for Architectural Technology, it represents those practising and studying within the discipline. 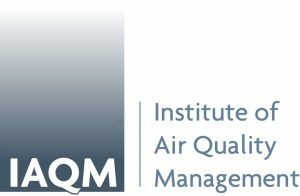 CL:AIRE is an independent, not-for-profit organisation, established to stimulate the regeneration of contaminated land in the UK by raising awareness of, and confidence in, practical sustainable remediation technologies. The East of England Energy Group (EEEGR) is the industry association for energy in the East of England, representing over 350 members across the supply chain. As a non-profit, business-led group, EEEGR is committed to the sustained development of its members and the wider energy sector in the region. The East of England is a world leading all energy hub and EEEGR is the catalyst making things happen. The Energy Innovation Centre (EIC) enjoys a unique relationship with its industry partners across the gas and electricity energy networks and share their commitment to fostering a culture of ambition and innovation with an emphasis on what can be achieved. Each of the EIC’s industry partners offer access to the market for SMEs. The EIC’s role is two-fold. Firstly to act as an innovation scout for our industry partners, proactively seeking opportunities that have the potential to benefit the EIC’s partner operations, improve Health and Safety, benefit customers or contribute to reducing energy costs. Secondly the EIC acts as a gateway to industry expertise and funding. The Environmental Services Association (ESA) is the trade association representing the UK’s resource and waste management sector. ESA Members provide essential resource and waste management services to the public and private sectors, and manage waste on behalf of the whole of society, be it through recycling, recovery or landfill. We work with our members to transform waste and resource management across the country. We work with all levels of government and regulators to deliver more sustainable resource management solutions for the UK, and our work helps enable our Members to turn Britain’s waste into valuable resources while protecting the environment. The Geothermal Association of Ireland (GAI) was formed as a not for profit association in 1998 to promote the development of geothermal energy in all its forms in Ireland. GAI is committed to education and awareness building to promote the use of geothermal as a sustainable energy system in Ireland. It represents the geothermal and ground source heat pump sector in Ireland. The Innovation Gateway is an alliance of organisations working in partnership to reduce the risk and cost of adopting high-impact solutions to energy, waste, water and productivity & wellbeing challenges. Current partners include RBS, Heathrow, Carillion, Kingfisher, Unite Students, Lancaster University and the University of Cambridge. By attracting the best innovation through the collective power of the partners’ brands, innovators, and SMEs get an opportunity to pilot their solutions on the property portfolios of some of Britain’s biggest companies. The Institute of Physics is a scientific membership organisation with a worldwide membership of 35,000 members, working to increase the understanding and application of physics. It is a leading communicator of physics with all audiences from specialists, through government, to the general public. IOP Publishing is a world leader in scientific publishing and the electronic dissemination of physics. The London Accord has been the largest cooperative project among investment research firms. 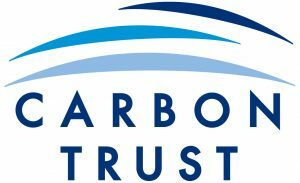 During 2007 London Accord members conducted the largest-ever private-sector investment collaboration into climate change, representing work valued at £7 million ($15 million), and proved that society has a hunger for financial services research. The Noise Abatement Society seeks to eradicate unnecessary noise in all its forms to improve the quality of life for all. Organisation for Responsible Businesses (ORB) is a business membership organisation formed specifically to support and promote socially and environmentally responsible businesses. ORB offers an extensive business package including inclusion in its unique register of responsible businesses http://www.theresponsiblebusinessdirectory.co.uk/ , which takes the form of a commercially built online directory to ensure members obtain maximum exposure. Additionally, ORB has recently launched the ORB Responsible Business Standard offering SMEs an affordable, attainable and valuable full audit and accreditation. 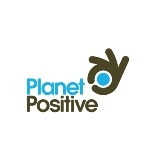 Planet Positive is a not for profit organisation providing a global environmental mark and inspiring action on climate change for a better way of living. A business, event or product is Planet Positive if it has measured and verified a net positive impact on the planet, its ecosystems and its people. It signifies a high standard of environmental achievement by reducing your greenhouse gas emissions. It also demonstrates a positive attitude to climate change and a better way of living. Business, events, products and individuals carrying this mark are immediately identified as good for the planet. Regen SW is the sustainable energy agency for South West England. Our mission is to speed up the transition to a low-carbon economy in South West England, by: unlocking sustainable-energy business opportunities; accelerating the uptake of the region’s renewable energy resources and championing effective energy-demand-reduction initiatives in the region. We help develop all aspects of the sustainable energy industry in the south west by giving independent advice to decision makers; acting as a sounding board for developers; supporting demonstrator projects across a range of technologies at both micro and utility scale; and stimulating an informed public debate about sustainable energy. SNIFFER identifies and manages environmental research on behalf of members and stakeholders. One of their key objectives is to promote and disseminate environmental research, particularly in relation to air, land, water and waste. Scottish Enterprise are Scotland’s main economic, enterprise, innovation and investment agency. Their mission is to stimulate economic growth in Scotland by supporting business growth and developing the business environment. Their key priorities are to provide a range of high-quality services to help new high growth businesses; support and develop existing businesses and help Scottish businesses and industries to develop a strong presence in the global economy – building on Scotland’s reputation as a great place to live, work and do business. The Scottish Hydrogen & Fuel Cell Association provides a one-stop point of contact with regards activities in research, development, and deployment of fuel cells and hydrogen technologies in the Scottish and UK industry. Though established in Scotland, our membership extends beyond our borders with members from around the world. Our industrial members represent all key fuel cell technologies, while our academic members are heading up ground breaking research in hydrogen and fuel cell technologies. The Association receives financial support from the Scottish Enterprise Energy Team. The Society of Motor Manufacturers and Traders (SMMT) is the leading trade association for the UK motor industry, providing advice and information to its members and to external organisations. It represents companies throughout the automotive sector from vehicle manufacturers, component and material suppliers to power train providers and design engineers. The Society of British Water and Wastewater Industries (SBWWI) is an active, not-for-profit, trade association representing the interests of UK manufacturers, contractors, consultants, distributors and others supplying the Water and Wastewater Industry. Its aims are to develop an effective, consultative and innovative supply chain to the UK water industry and to help members serve the industry better by providing a forum for discussion and the dissemination of information. Sustainability West Midlands were established 16 years ago and are the sustainability adviser for leaders of the West Midlands. 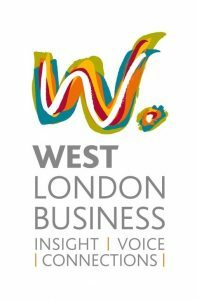 We’re a not-for-profit membership organisation working with the private, public and third sectors. Our role is to act as a catalyst for change. Our stakeholders like our independence, our role as a hub of cross-sector good practice networks, and our drive to deliver a clear vision to create a better West Midlands. We support organisations on an individual basis to ensure that sustainability is embedded into their vision and operations, and that they get the recognition they deserve for this. The UK Hydrogen and Fuel Cell Association acts on behalf of its members to accelerate the commercialization of fuel cell and hydrogen energy technologies. The UK Noise Association brings together a unique coalition of key organisations lobbying on different aspects of noise. It is a voluntary non-charitable, non profit making campaigning organisation. Both bringing together a coalition of key organisations lobbying on different aspects of noise. The UK Rainwater Management Association brings together the interests of the many private-sector businesses, public-sector authorities and agencies, water utility companies, and the many other organisations engaged in avoiding future floods and droughts.